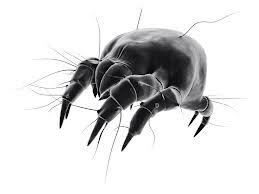 Incredibly, 90% of dust mites are found in and on mattresses! They feed on our dead, bacteria-infested skin cells that collect on mattresses, and comprise up to 10% of total mattress weight! Is your skin crawling now? 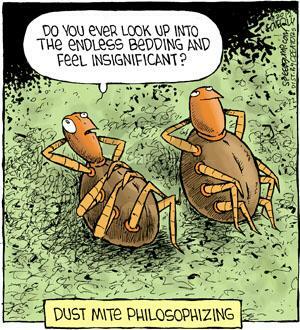 Vacuuming mattresses alone will not eradicate dust mites. Mattress cleaning systems that add UV radiation to vacuuming are totally ineffective at removing perspiration, oil and soluble stains. Steam cleaning (hot water extraction) risks over wetting, does not kill dust mites, and has been shown to raise humidity, leading to increased bacteria and dust mite levels. The Oxy-Dry® mattress cleaning system is ideal to clean, deodorize and sanitize mattresses without using harsh chemicals or risk of over-wetting. Oxy-Dry® adds ozone to our odourless, biodegradable cleaning agents. Ozone (03) is a natural purifier and destroys odours, all known bacteria and viruses. It also eradicates dust mites by killing the bacteria they need to survive. As the ozone evaporates back to natural oxygen, mattresses are left clean, sanitary, dust mite free for up to 6 months and dry in as little as 20 minutes. You can rest easy after Oxy-Dry® has cleaned your mattress!